Attempts to demean Matthew Shepard and his murder are a Right Wing fetish. Palm Beach County, Florida – Conservative radio bombast Rush Limbaugh attempted to undercut the powerful anti-gay hate crime narrative of the murder of Matthew Shepard during a broadcast on Monday, February 24, from his top secret studio in Florida. In the show, entitled “When did the ‘hate crime’ concept begin?”, Limbaugh launched a diatribe against Jason Collins’s decision to wear Number 98 on his basketball jersey in memory of Matthew Shepard who died because of anti-LGBT bias in 1998. Collins, the first openly gay person to play on an NBA court this past Sunday for the Brooklyn Nets, came out back in April 2013 to both accolades and brickbats. “[Jason Collins is] the first openly gay player to actually play in a professional sports game. It happened last night, the Brooklyn Nets against the Los Angeles Lakers. This is the Nets play-by-play announcer Ryan Ruocco, as Jason Collins — who, by the way, took the number 98 in solidarity with Matthew Shepard, who it’s now been proven didn’t happen, but was reputed to have been beaten up by a bunch of anti-gay bigots.” In the transcript, Limbaugh provided readers with a hotlink to a book by right wing darling Stephen Jimenez purportedly “disproving” the anti-gay hate crime aspect of the Shepard case. The extremist Right Wing, epitomized by Limbaugh, famously called “Comedian Rush Limbaugh” by Keith Olbermann on Countdown, has made a virtual cottage industry out of demeaning the lives and deaths of LGBT people for over 16 years. Their agenda is running out of gas. This latest attempt also fails to obscure the ugly truth that Matthew Shepard and over 14,000 other American queer folk have been murdered for their sexual orientation and/or their gender identity and expression since 1980. 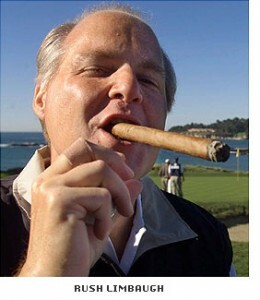 None of Comedian Rush Limbaugh’s or Stephen Jimenez’s allegations concerning Matthew Shepard’s murder hold water. It seems the extremist Right Wing is all out of ideas. 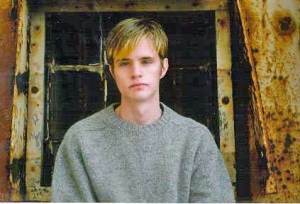 Matthew Wayne Shepard (1976-1998), victim of anti-gay hate crime murder. 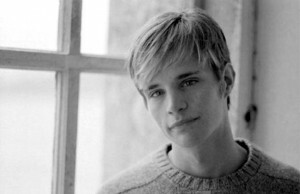 Laramie, Wyoming – Fifteen years ago today, Matthew Wayne Shepard took his fatal ride with two young men from the Fireside Lounge in Laramie, and suffered the savage attack that changed the world–for LGBTQ people, for sure, since the issue of LGBTQ hate crimes murder would never be seen in the same way again–but most of all for his family, who have been embroiled in a struggle over the story of their elder son’s life and death. From the very beginning, powerful people saw Matt’s story as something they HAD to control. Anti-gay forces have consistently deployed journalists with an agenda: remove “hate crime” from the Matt Shepard story. Today’s popular revision of the motives for Matt’s murder is making sensational news, but it is actually part of a right wing cottage industry seeking to rewrite a history all the major law enforcement investigators are agreed about–Matthew Shepard was murdered because he was gay. 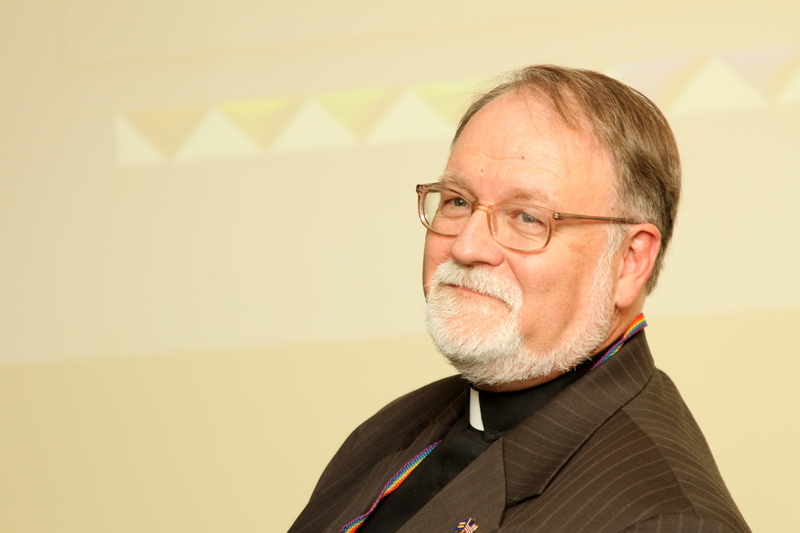 In 2011, Dr. Stephen Sprinkle, who visited Laramie personally to investigate the claims for himself, wrote a chapter about the determined effort to rewrite Matthew Shepard’s story, and excise the issue of anti-gay hate crime from it. Entitled “The Second Death of Matthew Shepard,” Sprinkle details how revisionists during the trial of Aaron McKinney, and later in the infamous creation of the muckraking 20/20 “special” (in which current revisionist Stephen Jimenez played a significant role as a re-writer), continue to attempt an undercut of the most effectively reported anti-gay hate crime murder in history. 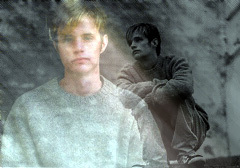 As a tribute to Matthew Shepard and his courageous family, Judy and Dennis, his parents, and Logan, his brother, Unfinishedlivesblog.com shares this excerpt setting up the argument of Sprinkle’s thesis: that nothing can change the exhaustively investigated findings of the case. Matt Shepard died because of unreasoning hatred, heterosexism and homophobia. 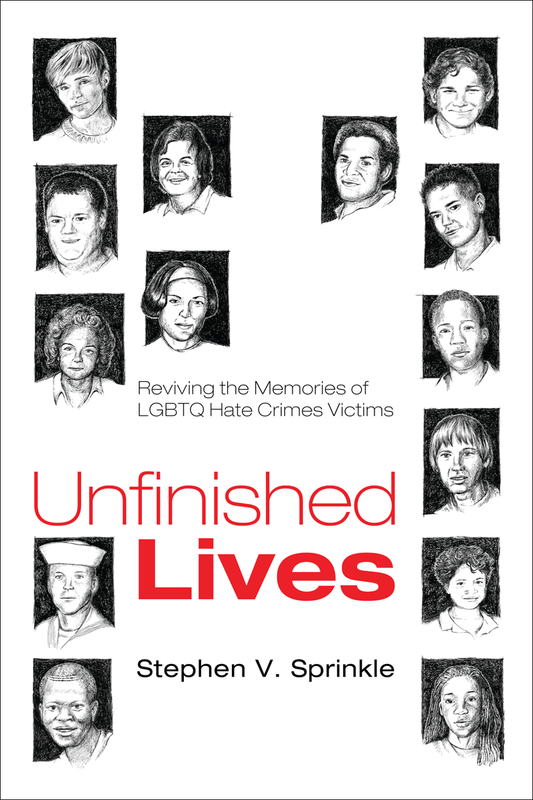 The full chapter can be read in Sprinkle’s award winning book, Unfinished Lives: Reviving the Memories of LGBTQ Hate Crimes Victims (Resource Publications, 2011). “Revisionists are getting away with murder, working to change the subject of Matthew Shepard and alter the impact of his story for LGBT Americans. It is not just that they are trying to shift the conversation to something more palatable to the cheerful, “Good Morning, America” attitude so prevalent in this country. Another sort of murder is afoot. The revisionists are working to change how Matt is remembered—to revise his story into the image and likeness of what queer folk are to them: people of bad character, the sort of anti-saints whom Judy Shepard suggested face suspicion and revulsion. In science, if the epitome of a whole species is found to exist in a particular specimen, then that individual becomes the “holotype” for all that follow it. All other specimens are compared to the original that set the standard. Weaken the holotype, distort it, and you inevitably revise the meaning of everything else in its class. “The public outcry at Matt’s cold-blooded killing meant the hate crime that cut his young life short became the holotype in the American psyche for all instances of oppression against people in the sexual minority. It also sent a chill into the bones of the religio-political Right Wing. Power to enact protection statutes for LGBT people coalesced around Matt’s death so swiftly that the Wingers feared anti-LGBT hate crime legislation might actually become law. Their strategy was to kill the story, or failing that, change the narrative. Cut the power of moral outrage out from under Matt’s murder, they reasoned, and they would blunt the mounting public sentiment for an end to anti-LGBT oppression. “Since Matt’s story looms larger than any other account of anti-LGBT hate murder, attempts to discredit Matt and lessen the moral impact of his death are archetypal, as well. The first attempt to kill the story and change the subject was made public during the trials of Henderson and McKinney. With the death penalty staring down at them, they swore they had never intended to kill Matt—just rob him. Henderson and McKinney and their attorneys entered the primal homophobic defense ploy into the public record: Matt was actually responsible for his own murder. He hit on them in the pickup truck, making sexual advances. His abductors panicked, assaulted him without mercy, got on with their thefts, including his wallet, credit card and shoes, drove him for miles and tied him up in the remote Sherman Hills area east of Laramie, leaving him to die in near-freezing temperatures—wouldn’t anybody, in their situation? Rest in peace, Matt. Your story does not belong to the revisionists. We who believe in Justice cannot rest…we who believe in Justice cannot rest until it comes. 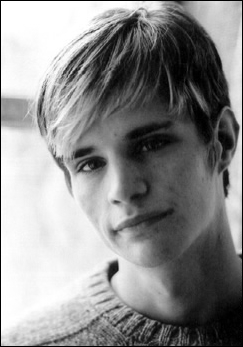 Matthew Wayne Shepard, (1976 – 1998). 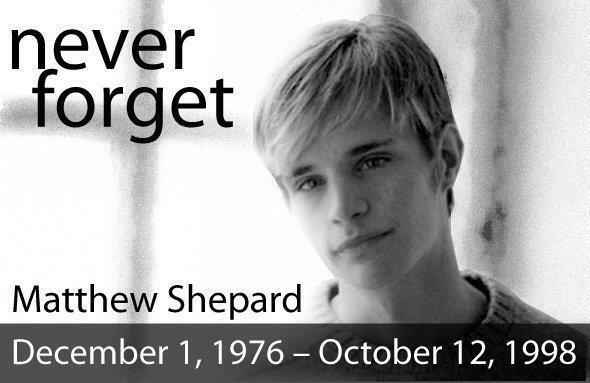 Laramie, Wyoming – October 7 marks the 14th anniversary of the fatal beating of Matthew Shepard, the 21-year-old gay man who became the icon of the movement to stop anti-gay hate crimes in the United States and around the world. Shepard was bludgeoned senseless with a .357 Magnum pistol and tied to the foot of a buck fence on a cold Wyoming night. Two local men, Aaron McKinney and Russell Henderson, picked Shepard up from the Fireside Lounge in Laramie, abducted him to a high ridge outside of the university town, and brutally attacked him. They stole his shoes. Blood spatter at the scene covered a fifty foot radius. Drag marks investigators found indicate that Shepard had to be bodily forced out of the pickup truck cab by his victimizers. After he was discovered nearly dead the next morning, Shepard was rushed first to Laramie’s emergency facility, and then to Fort Collins, Colorado where he lingered a full five days before dying on October 12, 1998. He never recovered consciousness. Rather than leave Matthew as a two-dimensional icon, no matter how compelling, this anniversary, the Unfinished Lives Project offers a video of him taken two years before his death while he was attending Catawba College, a small United Church of Christ affiliated school in Salisbury, North Carolina. Ironically from our present time, Matthew was interviewed briefly along with his then-boyfriend, Lewis Krider, about the anti-gay policies of North Carolina U.S. Senator, Jesse Helms. For a brief moment, we see and hear the young man whose death raised the world’s consciousness to the horror of hate crimes. Today, the Matthew Shepard Foundation continues the work Matthew surely would have longed to see done for the sake of peace, justice, and human freedom to love and be loved. An award winning book authored by the founder and director of the Unfinished Lives Project, Dr. Stephen V. Sprinkle, Unfinished Lives: Reviving the Memories of LGBTQ Hate Crimes Victims, opens with a chapter on the struggle to maintain Matthew’s legacy and witness against the forces of right wing revisionism. Matthew lives on in the hate crimes prevention act that bears his name and the name of James Byrd Jr. His memory is strong in the LGBTQ community, and he is a continuing inspiration to everyone who loves peace and justice in a violent world. Rest in peace, Little Brother. Rest in peace. Thank you to the Sacramento Gay and Lesbian Center. Never forget! Laramie, Wyoming – Wednesday, October 12 will be the thirteenth anniversary of America’s archetypal gay hate crimes victim. Matthew Shepard was brutally attacked and beaten into a coma by two locals who targeted him for abduction, robbery, and murder at the Fireside Lounge on the night of October 7, 1998. They left him trussed to the base of a buck fence, exposed to the freezing cold after stealing his shoes. When Matt was discovered the next day by a passing mountain biker, he was so brutally disfigured that his discoverer at first assumed what he was looking at was a broken down scarecrow that had been put out for Hallowe’en. Matt’s injuries were too severe to be treated at the local hospital emergency room, so he was transported to Fort Collins in neighboring Colorado where a state of the art trauma center fought to save his life. For five agonizing days, Matt lay close to death with an injured brain stem–a terrible wound from which he could never recover. His family, mother Judy, father Dennis, and younger brother Logan stood vigil beside him while the life force ebbed. For thirteen years, Matt’s memory has been honored, invoked, and ridiculed by a nation wrestling with heterosexism, homophobia, and transphobia–a culture of anti-LGBTQ violence that has claimed the lives of over 13,000 queer folk whom we know about (and God knows how many others whose murders have never been reported to anyone keeping records). Nothing will ever bring any of them back to us. They are gone, but to memory. Those of us who labor for the better angels of our national character to emerge have a responsibility to remember Matt and all the rest, to honor them by never forgetting the cost of being sexually different in these United States, and to take up the mission of educating the LGBTQ community and the general public that difference of any kind is no warrant for ignorance,prejudice, and violence, but rather is an occasion for understanding and neighborly solidarity. The anniversary of Matt’s untimely death is a good time to erase hatred from the American psyche. “Matt Shepard died in a Fort Collins, Colorado hospital in the wee hours of October 12, 1998 with his parents by his side. Ironically, it was the day after America’s observance of National Coming Out Day. His team of doctors and nurses, professional as they were, could not undo what hate had done to Matt. He never woke up from his coma. His heart gave out. The ventilator switched off, and Matt was gone. Our memory of him,however, cannot rest in peace. Not yet” (page 3). Our Project Director Stephen V. Sprinkle was on last night’s OutCast Radio talk show on the book, Unfinished Lives: Reviving the Memories of LGBTQ Hate Crimes Victims. Click on this link to listen to Sprinkle’s interview on Outcast Austin. Steve say’s that he had a wonderful time being on the program. (The Interview starts about 6:00 minutes in). Laramie, Wyoming – Matthew Shepard was brutally assaulted on a lonely ridge overlooking Laramie, Wyoming on this day twelve years ago. He died in a coma in Fort Collins, Colorado, with his family by his side. Much has changed. Much has not. His hate crime murder has set the pattern by which all LGBTQ hate crimes murder victims are remembered, both for good and ill. Good, in that many American’s are more keenly aware of the problem of anti-LGBTQ hate crimes and the issues surrounding the struggle for human rights equality because of his death. Millions of people around the world came to know about other hate crimes murder victims through the lens of Matthew’s story. His family foundation, The Matthew Shepard Foundation, has done untold good advocating for justice, equality and the embrace of diversity in American life. His mother, Judy Shepard, has become one of the most visible and effective spokespeople for human rights in our time–a true conscience for the nation. It is no mistake that the long-awaited federal hate crimes law, the Matthew Shepard and James Byrd, Jr. Hate Crimes Prevention Act, is named in honor of Matthew, largely through the dogged persistence of this estimable woman who will not take “no” for an answer. It was a proud day for all of us when President Obama signed the bill protecting LGBTQ Americans from bias-motivated crimes last October, inclusive of transgender people and disabled persons, as well. But there is a downside to the way Matthew Shepard’s story is remembered in this country too, one neither he nor his family are guilty of–and one we must all act to redress. The story of Matthew Shepard has tended to overshadow the remembrance of any other LGBTQ hate crimes victim, especially if that person was non-white, older and therefore less attractive, disabled somehow, or feminine in gender presentation. This has been true of the many gender variant youth of color who have died in staggering numbers as the 21st century has dawned. In the case of 15-year-old Sakia LaTona Gunn, an African American lesbian Aggressive, murdered at a bus stop in Newark, New Jersey, relatively few media stories on her outrageous murder broke into the national press compared to the thousands that flooded the channels when Matt died. Much ink has been spilled over why this was so, but in order to honor Matthew, we must demand that ALL LGBTQ stories are told with the passion and respect his has been. Finally, following Judy Shepard’s example, we must use this anniversary to cry out for Safe Schools for all children. As she wrote on the Matthew Shepard Foundation blog in early October, “Our young people deserve better than to go to schools where they are treated this way. We have to make schools a safe place for our youth to prepare for their futures, not be confronted with threats, intimidation or routine disrespect. Quite simply, we are calling one more time for all Americans to stand up and speak out against taunting, invasion of privacy, violence and discrimination against these youth by their peers, and asking everyone in a position of authority in their schools and communities to step forward and provide safe spaces and support services for LGBT youth or those who are simply targeted for discrimination because others assume they are gay. There can never be enough love and acceptance for these young people as they seek to live openly as their true selves and find their role in society.” In October 2008, I spoke at “Hope Not Hate,” an anniversary service for the city of Austin, Texas, commemorating the deaths of Matthew Shepard and James Byrd, Jr., both unwitting martyrs to the cause of true equality in American life. I said at that time, in part, “We who believe in justice cannot rest! We who believe in justice cannot rest until it comes! When a mother like Judy Shepard challenges us to send a different message to America than the one delivered by the men who killed her son, we must embrace that memory with all its pain, and break out of defeat into action.” I believe more fervently in the work of erasing hatred today than ever. Rest in Peace, Matthew, Sakia, and all our sisters and brothers.